Coconut oil helps rehydrate and condition dry and damaged hair naturally. Hair can quickly become dry and damaged as a result of heat created by blow dryers, straighteners, and curlers. If daily conditioning and weekly deep conditioning is not enough for your dry and damaged hair, consider using a coconut oil treatment on your hair. This oil treatment has origins in South and Central America, India, Africa and Asia. 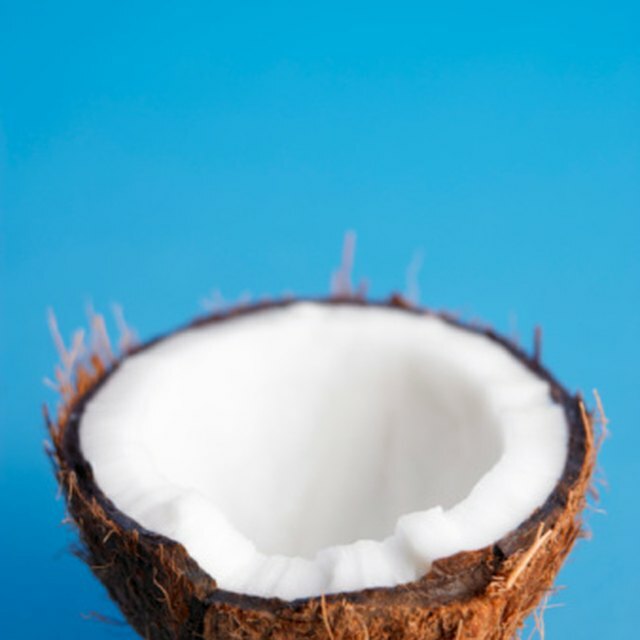 Coconut oil helps rehydrate and condition dry and damaged hair naturally. Shampoo your hair. Allow your hair to air dry until it is only slightly damp. Take a tablespoon of coconut oil and rub between your hands to warm it up. Evenly distribute it through your hair until it is entirely coated with the coconut oil. If you hair is long, you may have to use more than one tablespoon. Cover your hair with a shower cap or towel. Keep the treatment on for at least two hours. For best results, keep the oil on overnight. Use a penny sized amount of shampoo to wash and remove the oil from your hair.